A Fan Fix for “Night of the Living Dead’s” Evans City Cemetery Chapel! While Zombies can trace their cinematic roots as far back as 1929, there is little doubt that the birth of the “modern” Zombie took place in the tumultuous year of 1968. Though I was still a couple years away from being born myself, I can not imagine what must have been going through the average American’s mind during that time. The Viet Nam War was raging, violent protests sparked throughout the nation, Martin Luther King & Bobby Kennedy were assassinated, Elvis staged a comeback, while The Beatles released their infamous WHITE album. What better time for the dead to return and devour the living? 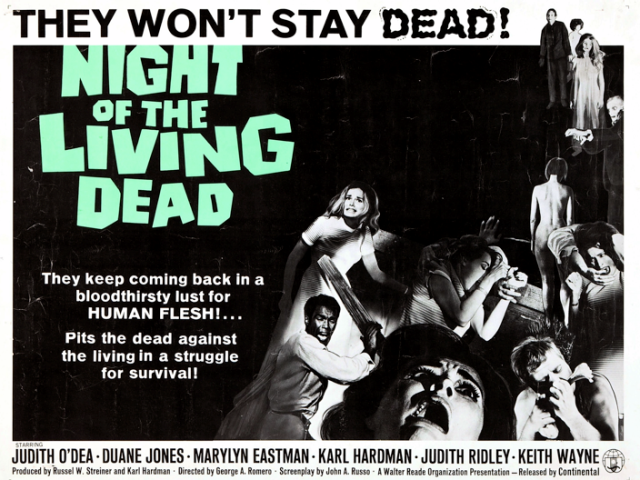 George Romero, the godfather of zombies, couldn’t have known what he’d started when his film, NIGHT OF THE LIVING DEAD made its way to the public in October of 1968. It would spawn many sequels, some great (DAWN OF THE DEAD 1978, DAY OF THE DEAD 1985) and some…well…not so much. It’d receive a 1990 remake from Tom Savini of which I am a fan, as well as numerous wannabes that still find their way into our Netflix queues each year. 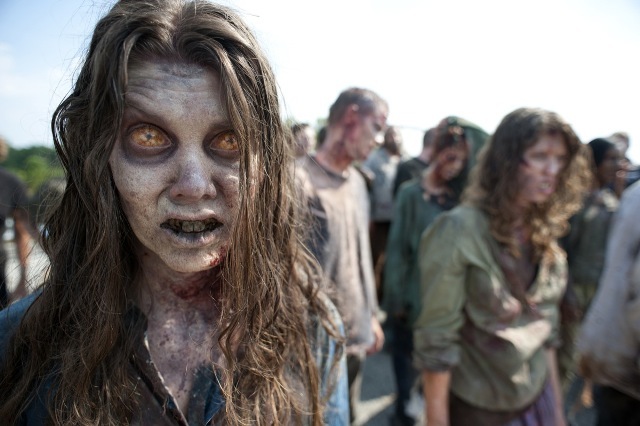 Whether the undead is slow moving or fast (I prefer them slow), zombies have had no trouble reaching their destination as a fixture in today’s popular culture. Just look at the anticipation for the new season of AMC’s “The Walking Dead” and the success of zombie comedies such as SHAUN OF THE DEAD and ZOMBIELAND. 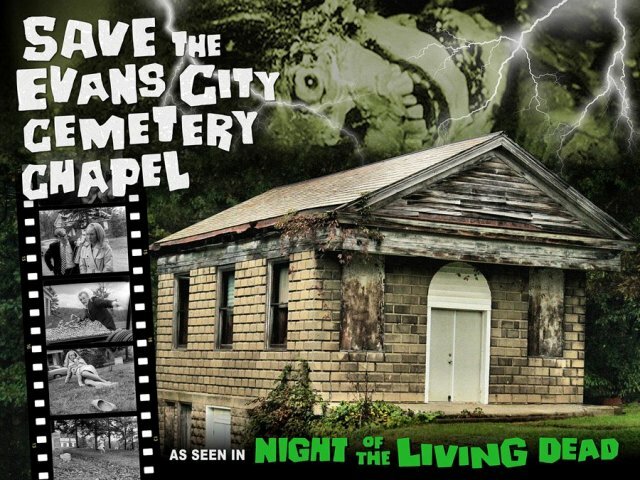 If NIGHT OF THE LIVING DEAD does, in fact, represent the modern zombie’s birth, than surely the site of its Baptism was the Evan’s City Cemetery Chapel. This is where many of us recall seeing a zombie for the very first time. It is the venue for which the iconic line, “They’re coming to get you Barbara,” was first uttered. And, like all old buildings, it is in need of repair! There is one thing, however, this structure has that other monuments do not; an army of devoted horror fans determined to preserve it! 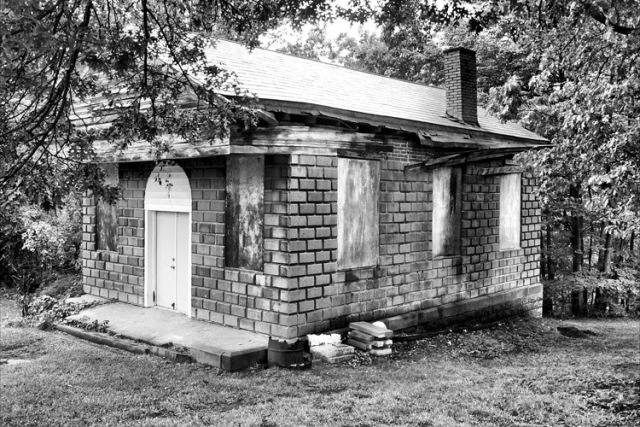 Through efforts both online and at convention halls, a movement began to raise $50,000 towards its renovation via “Save the Evans City Cemetery Chapel” campaign. Last March, at the Horrorhound Weekend in Columbus, Ohio, the Terror Daves made their contribution by visiting the “Save the Chapel” booth and purchasing an artifact taken directly from this iconic locale. As of July, they have reached over $42,000 of their goal but, like a zombie that smells human flesh, they are far from giving up the chase. 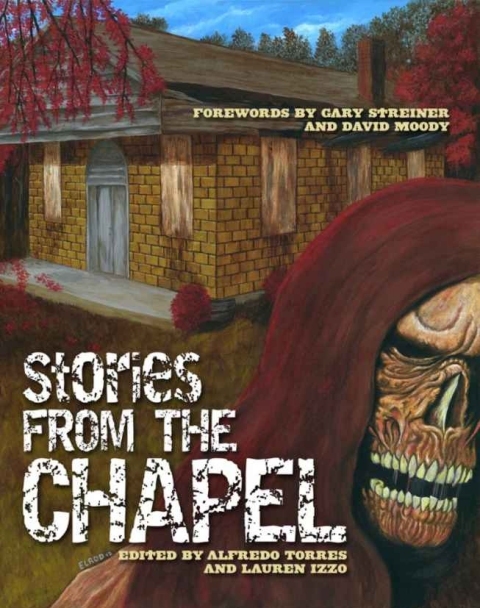 Recently a group of talented writer/fans banded together like an undead hoard and created a compilation of short stories and poems commemorating both zombies and The Evans City Cemetery Chapel. “Stories from the Chapel” is the result of these efforts and one that should make all NIGHT OF THE LIVING DEAD fans rejoice! I received my copy last week and couldn’t put it down! These stories reminded me in many ways of those wonderful EC Comic tales that swept the 1950’s and still enamor is today. In fact, they’re all so unique and so devilishly good I believe they’d transfer well into comic form. A total of 15 poems and stories highlight this amazing collection and its available both in E-Book and paper copy. Best of all, the proceeds all go towards the “Fix the Chapel” fund! This is a MUST have for any zombie fan out there so PLEASE order your copy ASAP! ..Yes, that’s right zombies, this is the one time I’d prefer you run than walk! Go to the “Save the Evans City Cemetery Chapel” site by clicking HERE! 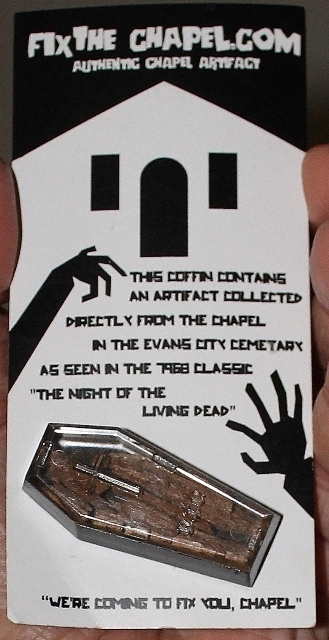 This entry was posted in Misc Mayhem and tagged NIGHT OF THE LIVING DEAD, Save the Evans City Cemetery Chapel, Zombies. Bookmark the permalink. ← THE POSSESSION helps channel the Halloween Spirit! I couldn’t agree more! Thanks for your comment! That being said, I must go see about ordering this book!